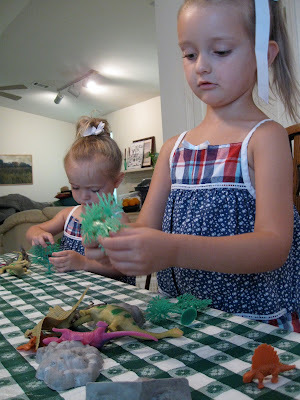 Gardening--Four-year-old Charlie prepares to plant a plastic tree in her dinosaurs’ landscape; Stella adds plastic foliage for her dinosaurs’ enjoyment. 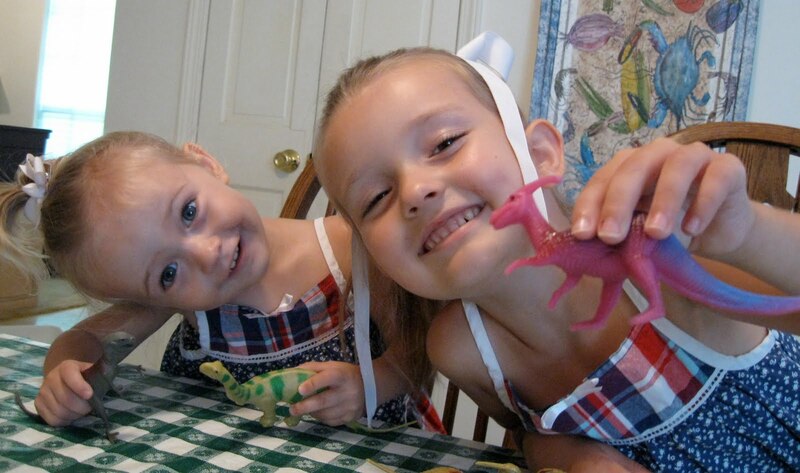 Modeling--If Nana says “lean your heads together for a photo,” Stella watches Charlie then tilts her head the same way that Charlie does. 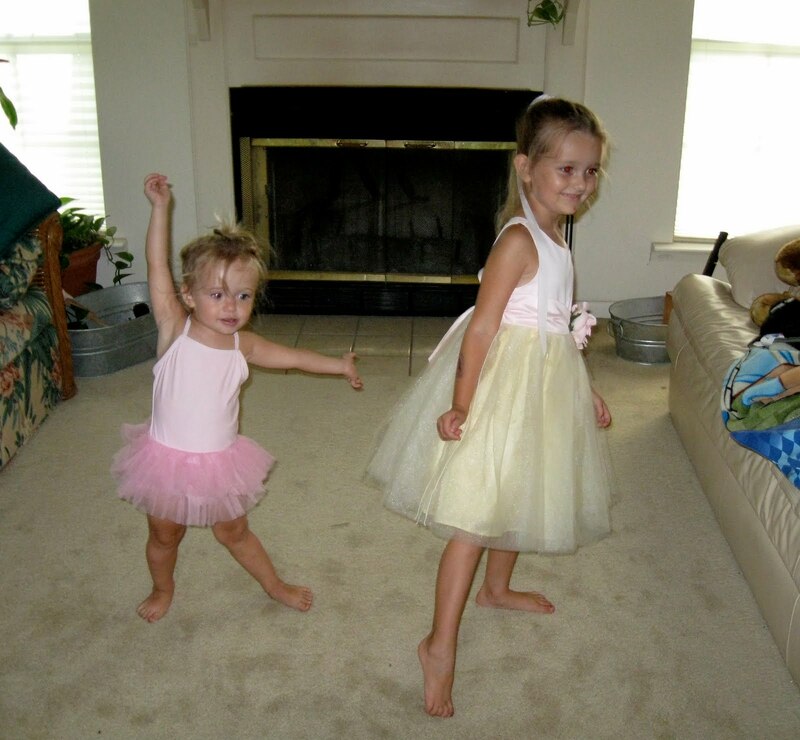 Dance—Charlie’s at-home practice for her “Mommy and Me” ballet classes reinforces Stella’s penchant for pink tutus and movement in time to music. I love these sweet pictures. Sisters can definitely get in each others hair but i love the sisterhood copying. The dancing practice is a dream! Great photos.